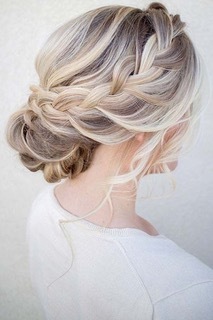 Hair colouring that always looks naturally beautiful. What colour do you want your hair to be today? The great thing about having your hair professionally coloured, is that whether you want to be a blonde, brunette or a redhead, it will always look natural and stunning. Call Tonic Hairdressing today, and book a hair colouring session. We use high quality hair dyes that are kind to your hair, and products from leading names such as Inoa. Whether you want a new look, colour correction, or tint, we can help. Throughout time fashion changes, as you wouldn’t wear the same clothes year after year. At Tonic Hairdressing, we believe your hair is just as fashionable, which is why we will happily transform your hair to help you change your appearance. By giving you a fresh, fun new look, we will happily provide you the complete re-style you are after, costing you less that you think. If you would like any further information or would like to book a hair colouring session, give Tonic Hairdressing today on 028 9062 5560.